BioGenesis is a technology system that uses energy to restore harmony with the stated intention to make life better. BioGenesis involves a spiritual energy that is instilled into specially designed glass tools that are all hand crafted by world class artisans. 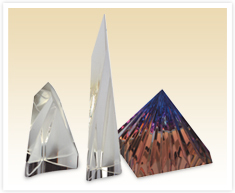 The designs for these tools have been revealed to us by an ascended master. These glass tools then radiate that energy to the environment in which they are placed. Each tool uses the same energy, but the unique design of each tool helps determine how that energy is to be used. The goal of the BioGenesis tools is to restore harmony to our physical and emotional bodies and to our minds, as well as to our home, work, play and the other important environments in which we live and act.